North Merrick, New York, USA. March 31, 2018. 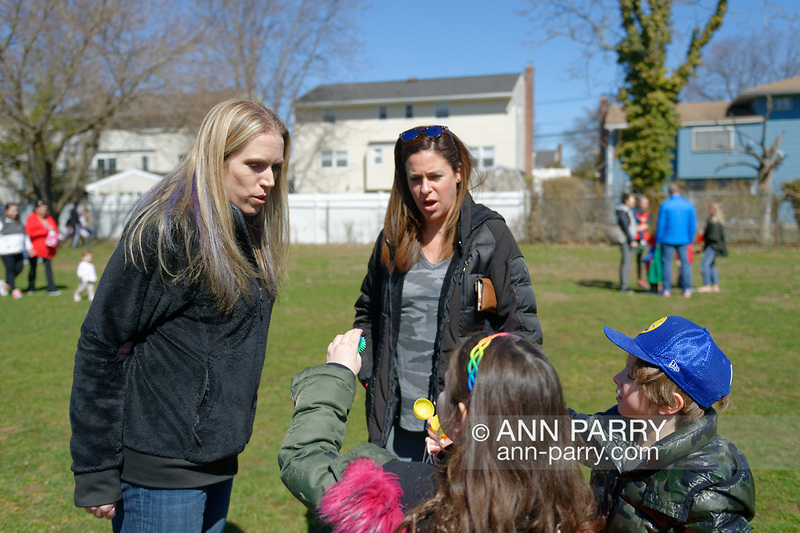 L-R, SUE MOLLER, the Co-President of North and Central Merrick Civic Association; and ALISON FRANKEL, the President of South Bellmore Civic Association, look at Easter eggs a girl and boy found during Egg Hunt at the 16th Annual Eggstravaganza, held at Fraser Park. Event was co-hosted by NCMCA and American Legion Auxiliary Unit 1282.